Dragon Ball FighterZ has been making noise since last year due to its phenomenal gameplay and graphics. It's like watching the Anime while playing the game. The game was developed by Arc System Works which is famous for Guilty Gear and BlazBlue series. Pretty sure that they have the experience to pull this one. But is Dragon Ball FighterZ candidate for fighting game of the year? Let's find out. 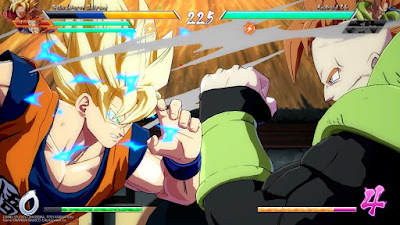 It's running the engine used for Guilty Gear and BlazBlue and they have implemented that awesome texture quality to Dragon Ball FighterZ with excellence. Get that Destructive Finish to trigger Dragon Ball Feels. There's a bit lag during cutscenes in Story mode but it you'd not notice this during battle itself. Performance is superb during battle even with a lot of exploding effects on the screen. Supers will send your enemies flying and will leave a finishing explosion. Ahh… the feels. The graphics is really amazing. The Soundtrack and Dubs are also amazing. The rock music has a lot of Dragon Ball feels to it. You also have the option to choose from Japanese or English Dubs and for me, both are amazing. 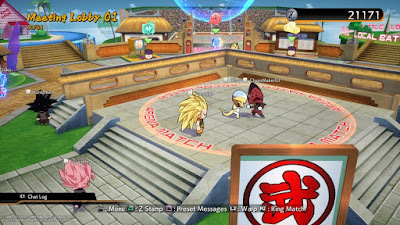 The Main lobby that looks like that resembles the tournament area in Dragon Ball, lets you customize your Avatar settings for online and navigating the area for Story, Arcade, Practice, Shop, etc. The Shop. You control mini version of the DB character that you choose as avatar. The shop lets you buy Z capsules to generate random in game stuff like updating the color of your Avatar you may also use premium Z tokens to generate rare stuff, but you are not forced to use one and does not really affect the strength of your characters. As mentioned, there's a story mode available where Goku must battle their clones and save his friends from an army of Super Androids. 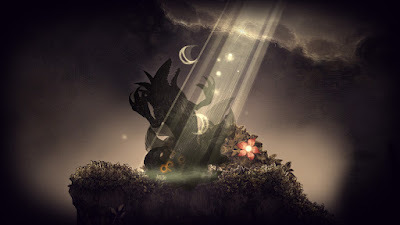 In the overworld Map. You consume Turns when moving around so you need to plan your moves. You need the right amount of turns to reach the boss. You gain experience and Zeni(In game money that you may use to purchase Z capsules in the lobby Shop) as you fight. This powers you up and increase your link level which determines the abilities you and your allies would have. The higher the link level the more power they could unleash. You get special bonuses when defeating the enemy according to the KO Bonus provided before fighting an enemy. The special bonuses can either be skills you can equip for additional EXP, Zeni and Health in story mode. Story mode is divided into chapters and you'll learn about the games plot as you move along. 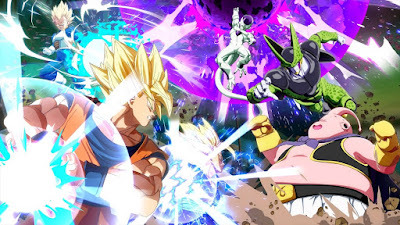 You fight Dragon Ball character clones along the way and save more DBZ folks to use in this mode. The Story involves around Goku and his friend battling Super Androids and also introduces a new character for the series Android 21 well to be honest the story isn't quite that engaging and interesting as the phasing is slow. Later on, the Story you'd have a chance to view the story on the villains perspective which will explain the origin of this new character. There were some quirky cutscenes that does not bring much of interest but just some new Dragon Ball moments to watch for long time fans. Don't expect much depth from the game's Story mode. Might get repetitive at times as there's not really a ton of characters available to fill the map for each chapter. So expect to fight clones over and over again and sadly though, it's not that rewarding. You can just go straight ahead with the main chapter boss if you want to finish with the story faster. Could be better if they'd just stick to the normal story line of Dragon Ball Z like they did for Dragon Ball Legends way back PSONE days. If you're a fighting game enthusiast you'd be at home here in not time. Even fighting game noobs will enjoy the game because it's basic. All characters share the same play style it's just some animation and signature move that differentiate them. It's like Marvel VS Capcom 3's simple mode. They all have the same buttons for Super moves. You'd just smash buttons here and just enjoy the amazing animation and textures. Pressing the Square button repeatedly can win you a battle for the stupid in game AI. There are expert mechanics in game where in it’s a bit of a challenge to know the weakness for each. You need to master counter, break guards, recovery timing, and so on. You can perform and basic combos by pressing Square or Triangle (for PS4) but each character has their combo of their own and it's not just a smash of a button. If you're a fan of MVC combos, you can apply it pretty well here. You can perform a combo, super, then call for you partner for another super for a devastating damage. What's unique to DBFZ You gain a Dragon Ball each time you perform a combo. Once you collected all 7, you’d be able to summon Shenron and ask for a wish, either it gives you additional power or heal your fallen allies. Not sure if you'd be able to perform this in actual battle with your friends as the battle might be finished before you even reach the 5th Dragon Ball. Let’s also talk about the Ki gauge you can use for super and sneak attacks. Super moves uses 1 whole Ki gauge while the Ultra move I think uses 3. You may charge up your Ki up to 7 gauges or you may perform attacks to fill it slowly. A sneak teleport attack consumes 1 Ki gauge. Expect a lot of Super move spamming here. You control the Chibi avatar you’ve chosen in the game's lobby and this is how online players will see you. There's an option for Casual Match, Ranked and Ring Match. 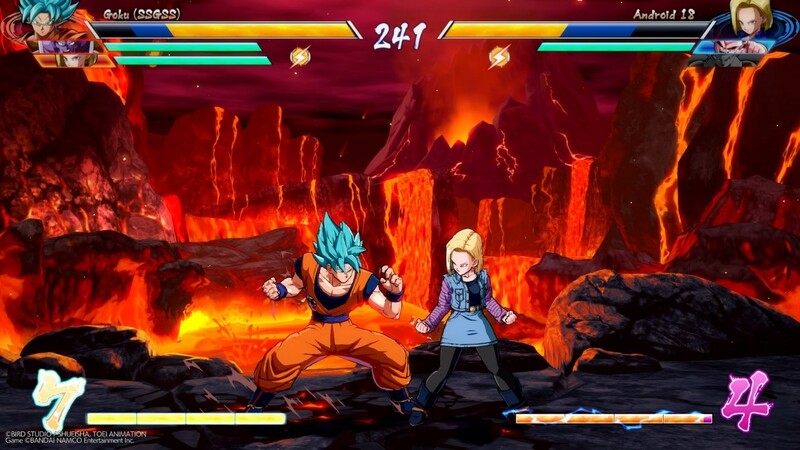 Ring Match is the same concept as creating your own room on some fighting games. This will create a circle aura around your avatar and folks can join in and they know that you have created a ring match since there's an aura surrounding your character. It even has a spectator mode for those who just want to watch in. For the online performance, I've managed to find several matches without lag. It depends on the region and I think the game will choose the best connection possible. So is it good? Yes, it is. It's actually very good. 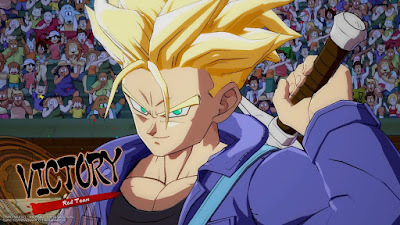 The story might not be for me but this is a fighting game so more fighting and less story I guess. For what it is, it has delivered everything that it needs to be delivered. 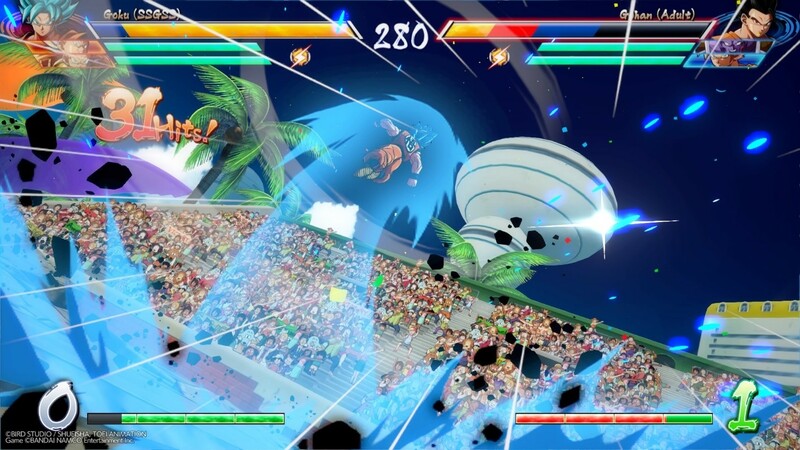 Amazing Graphics, Excellent Fighting System, and a good online server. It’s one of the best fighting game to date. Worth checking and hope to see this on the next fighting game tournaments to come.